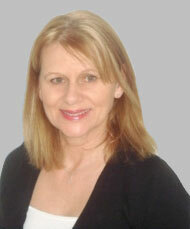 Annie Greig is a qualified Cognitive Behavioural Hypnotherapist. She is the Supervision Director for the Register for Evidence Based Hypnotherapy and Psychotherapy (REBHP); is registered with the General Hypnotherapy Register (GHR); is a member of the National Council for Hypnotherapy (NCH); and registered with The Complementary and Natural Healthcare Council (CNHC). She trained in Hypno-CBT at The UK College of Hypnosis and Hypnotherapy with Donald Robertson. Annie specialises in Anxiety problems, Fears and Phobias, Addiction including Alcohol and Drugs, Stop Smoking, Weight Loss, Confidence Issues, Public Speaking, Nail Biting, IBS, Fear of Flying, Claustrophobia, Aversion to Needles, OCD, Work Stress and Insomnia. Together with her Harley Street Hypnotherapy practice, Annie has been a therapist for 23 years at the Capio Nightingale Hospital, Central London’s leading independent mental health hospital. She runs a group therapy programme which includes yoga, meditation, relaxation and CBT Hypnotherapy. In these groups she has treated thousands of patients. Her approach has been developed over 30 years of teaching and training in the UK, Europe and USA. She also runs an IBS treatment programme with CBT Hypnotherapy at the Capio Nightingale Hospital. Annie aims to help her clients overcome their concerns and issues by giving them the reassurance and assistance they need to make the changes they are seeking. As clients engage in a CBT Hypnotherapy Treatment plan, they learn it is possible to overcome unhelpful beliefs, anxiety and challenges and to reinforce positive attitudes. Annie is keen to encourage and train you to develop new coping skills and methods and show you how to reduce unhelpful negative thinking. She teaches clients how to practice self hypnosis and visualisation on their own. This provides people with a dynamic tool for managing all kinds of stress, learning how to be more imaginative and creative, feel more relaxed, energised, focussed and calm and have more enthusiasm. Annie works along side you, supporting you in building a solid, new foundation that helps you overcome and experience relief from some of the problems that may have been compromising you. Her intention is to build a relationship of trust and positive support, working with you to achieve your goals and restore your confidence. Annie also sees clients for many other issues. Please enquire for further details.